After a flood, people are often uncertain if their eligibility for federal disaster assistance is linked to any way to whether or not they have flood insurance. The first two chapters in this book provide an overview of the assistance available to individuals and households following a flood and provides links to more comprehensive guidance on both flood insurance and disaster assistance. Introductory information on key components of the National Flood Insurance Program (NFIP), ranging from floodplain mapping to the standard flood insurance forms are provided. The next chapter examines the First Responder Authority (FirstNet), a federal agency created by Congress to help public safety agencies to communicate during incidents (during the events of September 11, 2011, first responders could not communicate with each other. Some radios did not work while other radio channels were overloaded by a large number of responders trying to communicate). The subsequent chapter briefly describes recent education-related developments in response to numerous disasters in 2017. It then describes education-related federal assistance provided by FEMA in the aftermath of disasters generally. This is followed by an examination of education-related disaster recovery and issues related to elementary and secondary education, postsecondary education and various ED-administered programs typically serving adult learners. 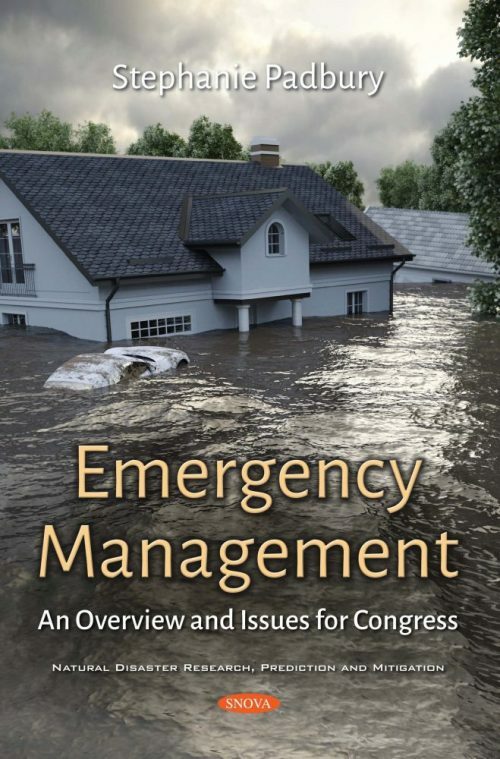 The fifth chapter provides a short summary of the types of individual assistance programs administered by FEMA (Federal Emergency Management Agency) following a disaster. It also provides a summary of the criteria FEMA uses in determining which individual assistance programs may be made available to impacted areas following a major disaster declaration, and discusses a proposed rule to change these criteria. The last chapter provides an overview of the United States Fire Administration (USFA), whose objective is to significantly reduce the nation’s loss of life from fire, while also achieving a reduction in property loss and nonfatal injury due to fire.